OK, the “K” and the “E” aren’t together. I hope Linda doesn’t smack me with the virtual SoCS yardstick. I know, “stick” was last week’s prompt. No, theses aren’t Krispy Kreme donuts. The closest Krispy Kreme shop is 42 miles away, tucked inside a casino. Well not a lot of words start with “ke” as far as I know. I’m sure there are tons. I’m sure that there are tons more that end in “ke” but I’d have to look them up. Looking them up is inconsistent with the idea of stream of consciousness. Krispy Kreme starts with “K” and ends with “E” (I’m sure you caught onto that) so I figured it would work. I like (ooh, like ends with “ke”) Krispy Kreme, the donuts and the words. I like the words because the donuts are a kind of crispy cream. I like words, phrases, titles, etc. that make sense (make also ends in “ke”). I have always considered “fireplace” to be one of the most perfect words. Think about it. A place for fire. It’s so simple. Words like fireplace, riverboat, light switch, paper towel and bottle opener just seem to flow from the page or speech right into my brain. Other words and phrases are a bit curious, they cause me to stumble on the trip from page to brain. Smart phone has never seemed to me to be a good phrase to describe the device it is associated with. The phones aren’t smart, they’re capable. I also don’t like the misuse or misapplication of words and phrases to aid in marketing (hey, there’s a ‘ke’ in there) and sales. “Not in my wheelhouse” is one that is making me shake (ooh, there’s another) my head. Do you have a wheelhouse? Have you ever been in a wheelhouse? Would you have the slightest idea of what to do if you were to be placed in a wheelhouse? My daughter has an entire list of expressions like this. She’s in marketing but she hates those expressions. Just say what you mean, you don’t have to use a currently-clever phrase that is bound to sound trite and stupid at some point – maybe the exact point when you use it.. I tried one of these. Very light. I don’t think I’ll be chowing down on a big bowl of them during a football game, but they’re OK.
Well, I wanted to keep (ooh another) this short. 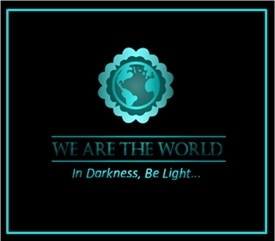 I’ve been posting a bit more frequently since I joined the Thursday Doors group and I want to give my readers a break. I’ll wrap up with another word that starts with “K” and ends with “E” but isn’t as good as Krispy Kreme – Kale. My wife likes kale. She recently bought some kale chips. I saw them on the counter. I didn’t open them. I don’t think they are something that I’d like, but she’s a keeper – ooh that’s a good one! That’s interesting. I like knowing where words and phrases come from, but that’s a little depressing. I don’t think I want to go where “people my age” are going. I think I’ll hang here in New England. Thanks for the comment Judy and I hope you have a great weekend. In Mumbai, there is a local cake shop, in fact they have many branches, by the name Monginis. They also serve donuts and anything related to birthday and celebrations, like candles, cookies, chips, birthday caps, balloons, and the list goes on. I was their regular customer from 2000 to 2010, but now that they’ve grown into this big brand with multiple locations, they’ve lost their quality (at least I feel that), there are many who still prefer it. Here, when a brand grows, the price grows, but the quality goes the opposite direction. I still have to try Dunkin Donuts’ donuts. Awww, I’ve never been jealous of people in the south – until now. Sorry to start the motor running on that one. Well done Dan. Yes, you are off the hook with Krispy Kreme. I never found the excitement over Krispy Kreme donuts. When I had my first one, I remember thinking, “This is it?” Someone told me to put one in the microwave and get it warm and, still, nothing happened. It must be my taste buds. On the other hand, the neighbor came over the kale chips one evening and I tried one. As much as I like to eat healthy, I will not be buying them. The Krispy Kreme donut tastes better. I’ve only had Krispy Kreme a couple of times. I’m happy with Dunkin Donuts. No kale chips for me but my wife kinda likes them. Kenetic 😀. Or is it Kinetic? Ask your Keeper. Should I be worried that you know the nearest KK is in the casino? 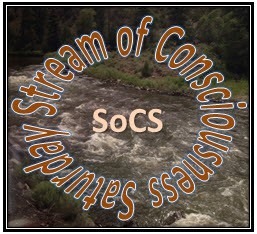 SOCS – KEeping mine short. Here’s a fun little post from Dan over at “No Facilities.” Check out all of his posts…the dude is smart and funny and loves doors. Krispy Kreme never really took off here. There’s only 20 stores in the whole country and five of them are in airports (presumably for the American tourists). Nice comment and s nice use of the prompt. I hope you get some sleep. We had a Krispy Kreme a few years back. It was fun watching those donuts come off the conveyor belt and tasting one while it was still hot. Krispy Kreme only lasted about a year – I don’t know why, I thought it was very popular. Maybe it was because we have so many other donut shops – Dunkin’ Donuts, Tim Horton’s, Paula’s (a local one with HUGE donuts). Plus, every local grocery store has a bakery and their own donuts. We had one here about 15 years ago. One of my coworkers brought several dozen into work one day, but I guess it closed. We have a few good independent shops around but you have to get there early. Thanks for stopping by. Sorry Paul. I didn’t mean to bring back painful memories. Hope you know I was kidding! 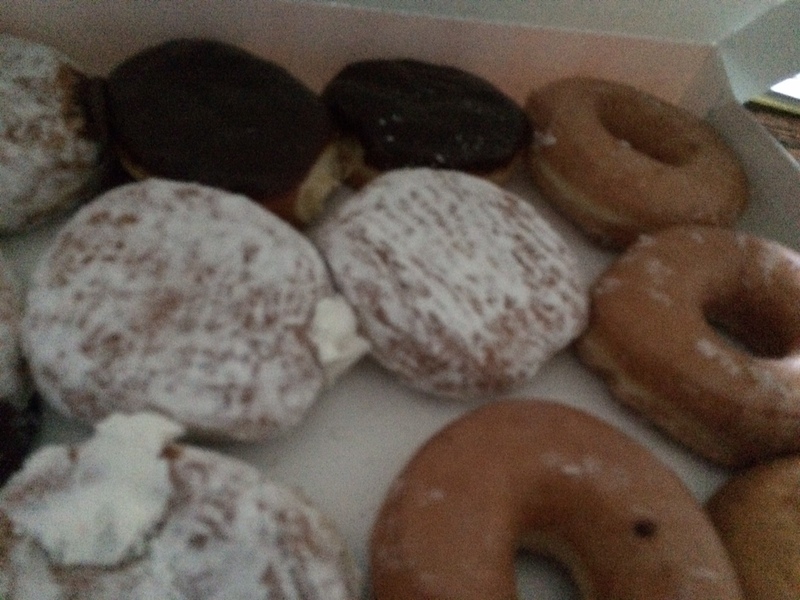 Fortunately, I still can get KK doughnuts — it’s just less often (which is probably better for my waistline). They’re available at nearby supermarkets, for example. Not quite as tasty as the fresh ones you get in a KK shop, where you also have the fun of watching them being made, but still. If you don’t have a wheelhouse you should consider getting one . And if you have one, KEep it . I don’t think anyone wants me in the wheelhouse Dan. This stream of consciousness stuff is pretty much how I operate on a daily basis. “Doughnut” is the correct word, as is “dunking” but Dunkin Donuts is my go to place for those little cakes (good use of KE there Wendy) so I’ve adopted their misspelling instead the one I would make trying to spell doughnut correctly. I am not really into donuts, but I must say that every now and again, I get a hankering, and Dunkin Donuts is seriously, like around the corner, so I rarely eat a Krispy Kreme, even though I think they’re better. Now, as for the kale, I’m a fan. One of my favorite soups is kale-full, and The Mister and I can kill a box of kale chips so quickly, it’s hard to pay the $7 they cost, lol! The spicy ones — DELISH! We had donuts today because my wife had a hankering. I will mention the spicy kale chips. 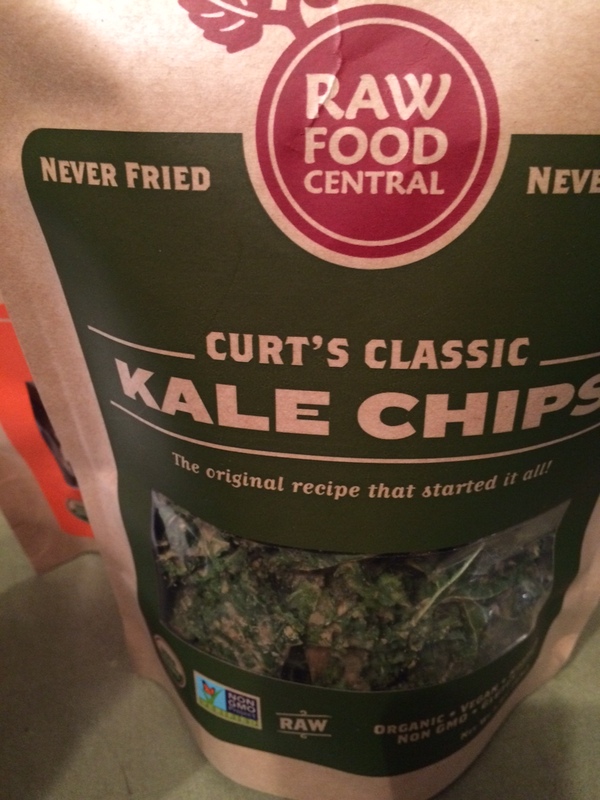 I do eat kale when she has some fresh, but the chips aren’t doing it for me. Of course, I have a bag of Nacho Cheese Doritos open so that might be the problem. What brand do you buy? I dunno what the brand is, it might even be the Meijer store brand. Do y’all have Meijer? I’ll see if I can’t tell you later today. No Meijer here. Stop & Shop is god biggie but the Mrs don’t go there. Thanks. Don’t worry about those chips, they won’t see the soft glow of an NFL or NCAA game. Smart phone has never seemed to me to be a good phrase to describe the device it is associated with. The phones aren’t smart, they’re capable. I totally agree with your theory on Smartphones, but how else were they gonna sell so many of them if they didn’t convince us our lives would be meaningless without them? Hence the word ‘Smart’. Would you buy a ‘capable phone’? Perhaps not. Me neither! I would not buy a “capable” phone, but I wish more people understood that the phone needs help from the person holding it. Krispy Kremes, you are making me hungry. Kale chips do not hold a candle to Krispy Kremes. Thanks Deborah – and, no, no kale chips vs. Krispy Kremes (or any donut) no contest. A warm krispy kreme donut always hits the spot! Thankfully, I don’t have one in my neighborhood. Yeah, maybe it’s s good thing the closest one is an hour away. My brother likes kale too. It’s not for me. Thanks for the comment (except for the idea of a kale fritter). Apple fritters are wonderful things. We have one shop that makes things like that. Now I might have to stop there tomorrow. Thanks Celine. I know I broke the rule, but it would have been too hard to write only about kale. And this post was a good one, Dan; it gave me a peek into your interesting mind, which was more intriguing than frightening! I like the way you keep saying “ooh, like/make ends with ke”. It makes the post very enjoyable. I also don’t think “Smart phone” is a great phrase. Just marketing stuff. Thanks Peter. I struggled with the “ke” thing and then I started noticing the words that had that combination. The SoCS prompt says “no editing” so I just wrote what the voices in my head were saying. Sometimes, that is a very liberating felling. The phrase I hate is “thinking outside the box.” The minute I hear it, I figure the person who said it is not only inside the box but has somehow managed to tape it shut. Which is no mean trick if she or he is inside. So I suppose there is something there to admite. For many of the people who use this expression the act of just thinking would be a step in the right direction. I agree with you on that phrase. Thanks for the comment. I like the SoCS prompts when stuff just flows. It’s s fun kind of writing, less serious for me which I enjoy sometimes.